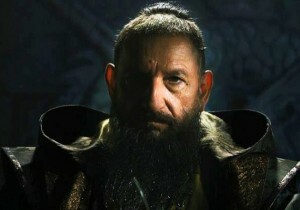 While promoting Ender’s Game, Sir Ben Kingsley revealed that he may be returning to the Marvel universe after playing the Mandarin in Iron Man 3. Speaking with the Belfast Telegraph in an Oct. 22 interview Kingsley wouldn’t release any details, but confirmed he’s been filming. “It’s a secret Marvel project. I’m not allowed to say any more, you’re going to have to wait and see,” he said. Kingsley who plays military leader Mazer Rackham in Gavin Hood’s big-screen adaptation of Orson Scott Card’s science fiction book Ender’s Game, alongside Harrison Ford and Asa Butterfield, said he enjoyed reuniting with the Marvel crew. “I was with many members of the crew that were involved in Iron Man 3. It was lovely to see them again. It was great to be with this wonderful family,” he continued. “I think they have enormous taste as creative artists. There’s nothing lazy or gratuitous about their work. They are at the top of their game, and they’re great company to keep,” he added. Ender’s Game arrives in theaters on November 1, 2013.